The Circuit Motorsports Crew has been competing in the 2015 Martin Sports Car Club Autocross season this year with great success. We started the year knowing we wanted to do a full season to see how we would stack up against the competition throughout the year. The goal was to pick a class individually, get as many class wins as possible, and try to improve against the fastest guys out there. So far we are exceeding our expectations, with 5 class wins, 2 FTD's and always having at least 2 people in the overall top 20 at each event. The Circuit Motorsports team is made up of a group of enthusiasts, and we enjoy getting out and driving our cars just as much as our customers do. 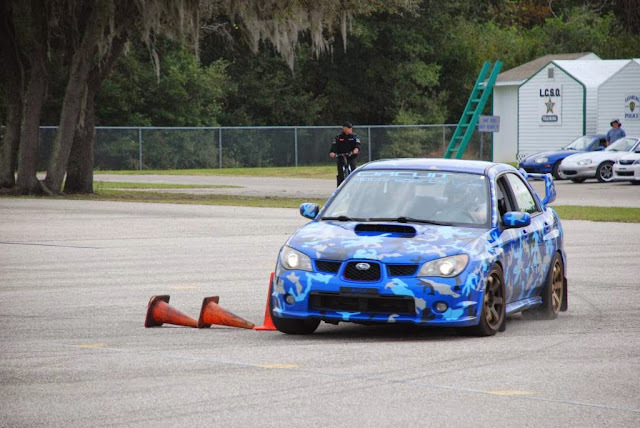 We had been autocrossing on and off for a very long time, picking and choosing what events were convenient for us to all make it out to. Florida gets very hot in the summer and we typically skipped the hotter months, as standing in a parking lot in 100 degree heat and high humidity is not our idea of a great time (not to mention the afternoon thunderstorms). We decided for 2015 that we wanted to run a full season, sweat it out, and see what we could do officially and bring home some trophies for the showroom wall. So we joined the club as members, geared up, and started hitting every event. So far we have really enjoyed going out as a team. There is more sense of excitement when you know the points and times will accumulate and matter at the end of the year. Competing for your class, points, and FTD puts more emphasis on getting it right and not just driving faster than your buddies, which can be good and bad. Good because it allows you to focus, bad because that stress of needing to put down a good time can lose you time on the course when your thinking about the time, and not thinking about driving. We also really enjoy getting out there and showing the locals what we can do with a car that we have setup at our shop. Proving that we just don't sling parts across a counter to try and make a buck, but that we actually use most of the parts we recommend and sell is a good thing for prospective customers to see. We rarely recommend a part or upgrade without seeing it, testing it, and knowing that it works first-hand. We have met quite a few people at these events who like to come to us and ask questions about our setup, mods for their car, what works best, tuning etc. We love it. Meeting like-minded gearheads is one of the reasons we love our jobs and competing in events like this. Running the Street Modified (SM) class so far he has 4 out of 4 wins, and 2 out of 4 Fast Time of Day (FTD) wins. Tristan is very happy with the FTD's, as he was shooting for SM wins but did not expect to be faster than everyone else on the field. His favorite "the one that got away" story is from the season opener, where he would have had a third FTD under his belt if it had not been for a certain Randy Pobst taking the overall win by a mere 0.6 seconds, yes, that Randy Pobst. He decided to show up for the day and promptly showed everyone that a Pro-racing driver can still mix it up at the local level come out victorious. Running in the SM class he has 3 second place finishes, and has been in the top 20 overall time 3 times in 4 events, even beating cars running slicks! Running with minimal mods he places very well and continues to improve his times against competitors running in faster classes. He laments about needing more camber. 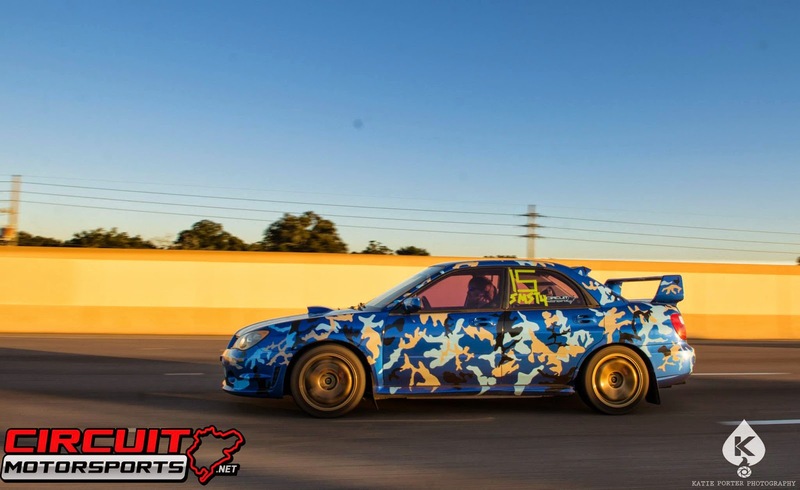 Running his BRZ in the very competitive Street Touring Extreme (STX) class Jason has battled with one of the bigger classes on the field for a first place finish and 2 top 20 overall finishes. He has his car setup very well with power and suspension but feels like he needs to dial his brake setup in. 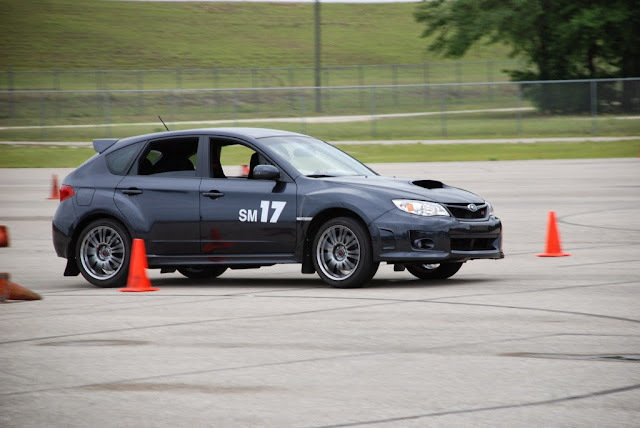 So you've read this and think...man this sounds great, how do I get into Autocross? Go sign up for the next event in your area! 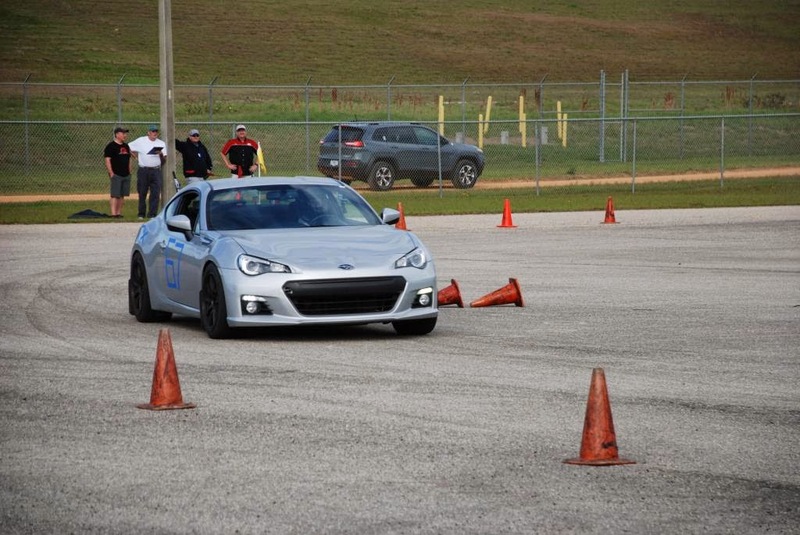 There are a lot of autocross sanctioning bodies out there; SCCA, Martin, NASA, FAST, and many more. Make sure your fluids are topped off and fresh, put air in your tires, make sure your battery and anything else that could become an issue when turning at high G's is secure and GO. You don't need coilovers, or turbokits, or slicks or that fancy wing. Go drive your car and see how it feels, while getting an idea of how an autocross course is setup and driven. Ask to ride with some of the other drivers there, most will say yes. Ask an instructor to ride with you, or better yet to drive your car so you can see how it should be done. Practice, practice, practice. Don't be embarrassed because your slow at first, everyone has to start somewhere! If your local to the Orlando, FL area and want to come with us then Like our Facebook page and keep an eye for our next event. We always meet at our shop and rollout together to the events, you're welcome to join! Now get out and drive your car! 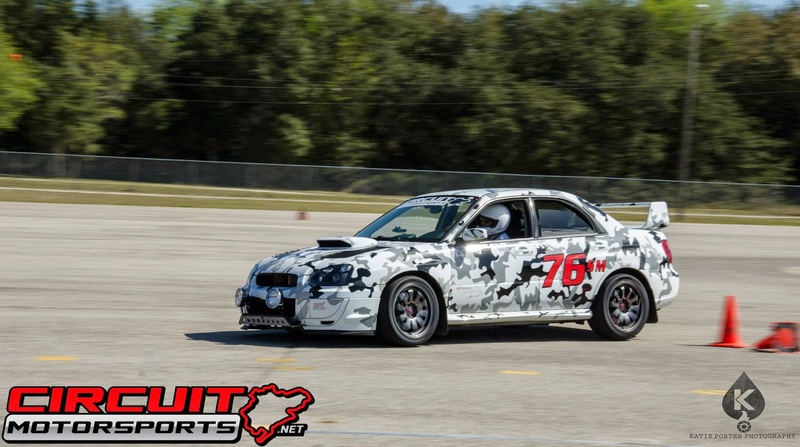 Circuit Motorsports is a performance shop located in Orlando, FL specializing in performance upgrades, tuning, engine and chassis building and maintenance.